Durban, South Africa – A grudge match is brewing in Durban. On 29 August the newly crowned champion David Buirski is set to defend his cursed welterweight title against home-town favourite Martin ‘The Punisher’ van Staden. David Buirski won the welterweight title in February by defeating the two-time division champion Adam Speechly with a devastating combination of punches and knees. Buirski made the dreaded curse continue, but is confident that it will end with him. His opponent, Martin van Staden worked his way back into title contention after back-to-back first round knockouts and has been close to the top for the majority of his career, but always fell short before the ultimate test. Finally, after years of competition, one of Durban’s favourite sons will have his chance at EFC gold. Look out for more bouts to be announced in the coming weeks, including an inaugural title fight featuring one of Durban’s best plus the return of Amanda ‘Mad Dog’ Lino. 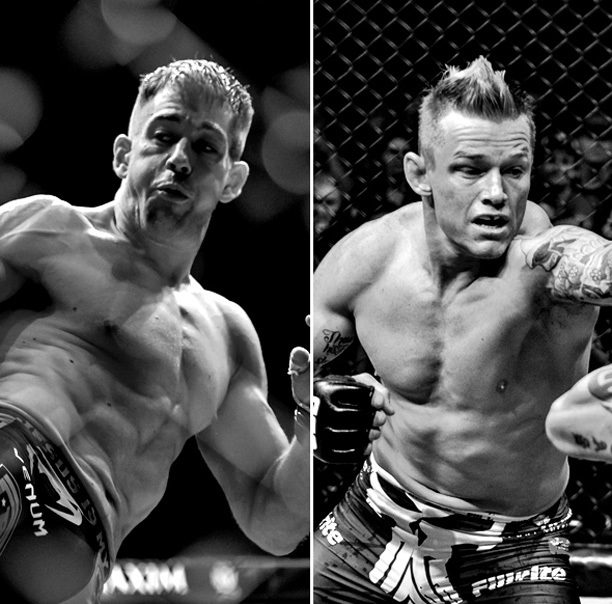 EFC 43: Buirski vs. van Staden, presented by BetXchange.com, and takes place at Durban ICC, Durban, on Saturday 29 August 2015. Tickets on sale soon at www.computicket.com. Book your cinema ticket to all fights live and in state of the art digital projection at www.sterkinekor.com.